Knut Gjerset was born on September 15, 1865, in Romsdal, Norway, to Ole S. and Karen Marie (Eidem) Gjerset. He and his family emigrated to Chippewa County, Minnesota, in 1871 where his father was a pioneer farmer and teacher. Gjerset attended Willmar Seminary, Willmar, Minnesota, from 1884-1888. In 1893, he received his A.B. degree in literature from the University of Minnesota. After graduation he assumed the position of principal at St. Ansgar Seminary in St. Ansgar, Iowa, remaining there for two years from 1893-1895. In 1895, he became a graduate student at Johns Hopkins University for a year followed by two years of study at Heidelberg University where he received his Ph.D. in English literature in 1898. After receiving his doctorate, he became principal at Glenwood Academy in Minnesota remaining in that position until 1902. At the end of this assignment, he became a professor of History and Norwegian at Luther College where he taught for the remainder of his professional career (1902-1916; 1917-1936), except for one year when he served as president of Park Region Luther College from 1916-1917. During his time at Luther, he also took a leave to study at the University of Christiania (Oslo), 1909-1910, and at the University of Berlin in 1910. While at Luther College, Gjerset was perhaps best known for his work as Curator of the Norwegian-American Historical Museum, starting in 1922 and ending with his retirement in 1935. During these years, the museum evolved from being a college museum to becoming the Norwegian-American Historical Museum, officially named so by the Luther College Board of Trustees on October 15, 1925. During Gjerset’s tenure as Curator, he renovated the old “Chicken Coop” and took over the ground floor of the newly built Koren Library for the collection. He helped arrange large gifts from museum collections in Norway which resulted in five truckloads of articles coming to Decorah. In 1932, when the space vacated by the Lutheran Publishing House became available in downtown Decorah, he arranged for the move of the museum to that location. Under Gjerset’s leadership, the museum became professionally recognized when it was included on the list of museums maintained by the Smithsonian Institution and in the directory of the American Association of Museums. As curator of the museum, Gjerset wanted to “arrange a typical Norwegian living-room where articles preserved from pioneer days can be placed as they once stood in grandmother’s own home...The collection must be brought into such form that it breathes Norwegian life.” He was known for forging ahead with plans to “help people visualize the living conditions and activities of the Norwegians who came to dwell in America.” Toward this end, he also was a leader in forming the Norwegian American Historical Association in 1925-26, whose goal was to “seek and gather information about the people in the United States of Norwegian birth and descent, and preserve the same in appropriate forms as historical records.” The Association was headquartered at St. Olaf College in Northfield, Minnesota. During his career, Gjerset was the Assistant Editor of Symra from 1912-1914. He was awarded a Knight (first class) of the Order of St. Olav in 1916 by the Norwegian government. 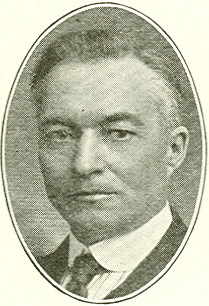 In 1925, he became the Director of the Norse-American Centennial celebration held in St. Paul/Minneapolis. This celebration commemorated the event which began 100 years before when fifty-three settlers from Norway first landed in New York Harbor on the sloop Restaurationen. In 1927, he was honored with membership in the Icelandic Order of the Falcon. Gjerset was an active scholar who published numerous books and articles. He wrote Chapter 17 (“Important Events”) in the Luther history, Luther College Through Sixty Years, which was a summary of the early years of the formation of the College. He concluded the chapter noting the effects of World War I including the 1918 proclamation that “English should and must be the only medium of instruction in public, private, denominational, and other similar schools.” Gjerset said in general that the War had led to “a lack of feeling of responsibility and devotion to scholarly ideals” but that he was optimistic that incoming classes of Luther students were beginning to turn this feeling around. Gjerset had two books published by the Norwegian-American Historical Association which were about Norwegian shipping and sailing, one focused on the Great Lakes and the other on the eastern seaboard. Other notable books were the scholarly works he wrote on the History of the Norwegian People and on the History of Iceland. He compiled a history of the Luther College Museum which was published in 1923. While at Luther College, Gjerset was department head of the history department for more than thirty years. During his tenure, he started the P.A. Munch Historical Society on February 11, 1903. (Munch was a Norwegian historian known for his multi-volume history of the Norwegian people.) The society, which Included both faculty and students, had meetings devoted to lectures on historical topics delivered by professors of the college or by visitors. Gjerset encouraged students in historical study by arranging that their best papers should be published in Chips in the “historical department.” Although no meetings of the society were held after 1919, the library collection which had been gathered by the society was added to the main library where many of the books can still be found. Gjerset is also credited for suggesting the name of the Luther College annual, Pioneer, which began publication in 1920, based on his reasoning that the College was the pioneer institution of the Norwegian Lutheran church. Gjerset was survived by his wife, Helen Baumgarten, whom he had married in 1894 in New Richland, Minnesota. They were the parents of three children, Maurice, Walter and Agnes. A private service was held for the Gjerset family in the family home followed by a public funeral in C.K. Preus Gymnasium. At the funeral, messages of sympathy were read from the Norwegian Legation in Washington, D.C., the Norwegian government, King Haakon of Norway and the president of the Norwegian Lutheran Church of America. During his lifetime Gjerset donated many books to the Luther College Library. While most of them focused on Norwegian cultural, historical and literary subjects, others represented his wider range of interests. These books can be found by searching on the title phrase “Knut Gjerset Collection” in WorldCat Discovery. Personal correspondence and research culminating in several of his books are located in the Luther College Archives. Ref: Nelson, David T. Luther College: 1861-1961. Decorah, IA: Luther College Press, 1961; Luther College Through Sixty Years: 1861-1921. Minneapolis: Augsburg Publishing House, 1922; Christianson, John. “Knut Gjerset.” Norsk Biografisk Leksikon. Oslo: Kunnskapsforlaget, 2005; Nelson, David T, “Knut Gjerset.” Norwegian American Studies 25 Northfield, MN: Norwegian-American Historical Association, 1972; Norlie, Olaf. History of the Norwegian People in America. Minneapolis: Augsburg Publishing House, 1925; Obituary, New York Times, October 30, 1936; Obituary, Decorah Public Opinion, November 5, 1936; Obituary, Chips, November 11, 1936; Chips, February 15, 1925; May 15, 1925; November 27, 1926; February 9, 1927, January 25, 1928; New York Times, April 12, 1925; Personal Papers, Luther College Archives, RG 15.